Spoke to some friends of mine. Seems like it is very difficult to get any information about this. Found out a little more however. Last week an online store selling Swedish snus was shut down by Swedish customs. Apparently Finland press charges at them. 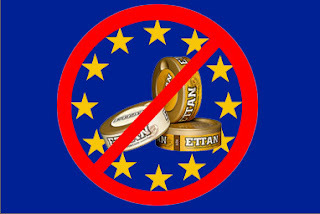 Now all the online stores that used to ship snus from Sweden to countries in the EU are not able to do that anymore. I think this is insane since many people quit smoking thanks to snus. And if anything gives you cancer it is cigarettes. However I've heard that the Swedish gouvernment is not so pleased with this ban either. Makla is a product that is not included in the EU ban. Why? It is used in the same way as snus is, but it is registered as a chewing tobacco product. How can Swedish snus be banned when this is allowed? I think this is discrimination of a product that help people quit smoking and also is more healthy than using chewing tobacco or moist snuff. This is very hard for me to understand at the moment and makes me very mad. I would love to use some bad words right now but that's not really my thing. Is this EU trying to push down Sweden or what? Crazy to allow other products that is practically the same thing. Luckily Europeans can still order snus from Northerner.com's American warehouse. Thank you, Chad for telling me that.